Real Porsche connoisseurs know exterior beauty is merely a distraction. Raw performance is at the heart of everything the German powerhouse produces, and the Macan is no different. Whether you desire a six-cylinder turbo diesel, or a twin-turbo six-cylinder, all Macan engines are defined by their roaring, unmistakeable sound. But that’s not to say they’re inefficient. The Macan provides high-performance with fuel efficiency – a feat of design ingenuity we’ve come to expect from Porsche. The Macan’s considerable power comes from the active all-wheel drive, a standard-setter in terms of both stability and driving dynamics. Just like the iconic 911, mixed tyres are fitted as standard, enhancing both agility and traction. Ever wanted to experience the pure adrenaline of being a racing driver? Well, the Macan comes with 7-speed Porsche Doppelkupplung as standard, giving you the kind of rush typically only experienced on a certain track in Le Mans. Sound too stressful? 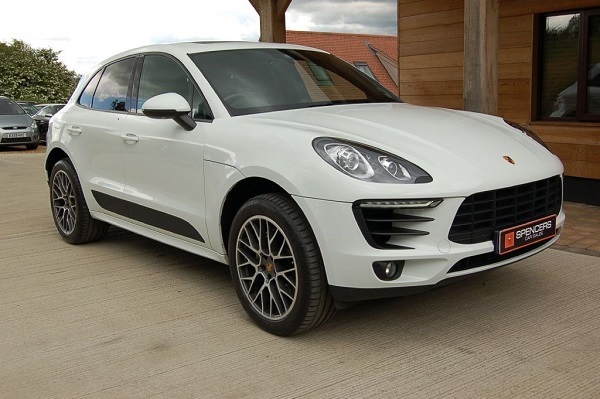 The Macan also features a coasting mode, which, as well as diminishing emissions and fuel consumption, provides some relaxation when the mood takes you. Steel spring comes as standard, ensuring the kind of perfect precision we demand from Porsche. This is combined with optional Porsche Torque Vectoring Plus (PTV Plus) which makes sharp corners a joy to navigate. The system functions by collaborating with a rear differential lock, controlled electronically – torque is then transferred to the rear wheels. As well as enhancing handling and steering-wheel precision, this function also amplifies the Macan’s rapidity when taking on the corner. Now all of the above would be meaningless if safety wasn’t adequately taken care of. It’s fortunate then, that the Macan features active safety, meaning it’s not only fast but secure as well. At the very limits of performance, Porsche Stability Management (PSM) kicks in, delivering much-needed stability. Furthermore, the brakes set industry standards for deceleration. So, if you’ve always dreamed of owning a Porsche, look no further than Spencers, a trusted source for prestige used cars. A visit to our Norwich showroom could turn your dream into a reality.